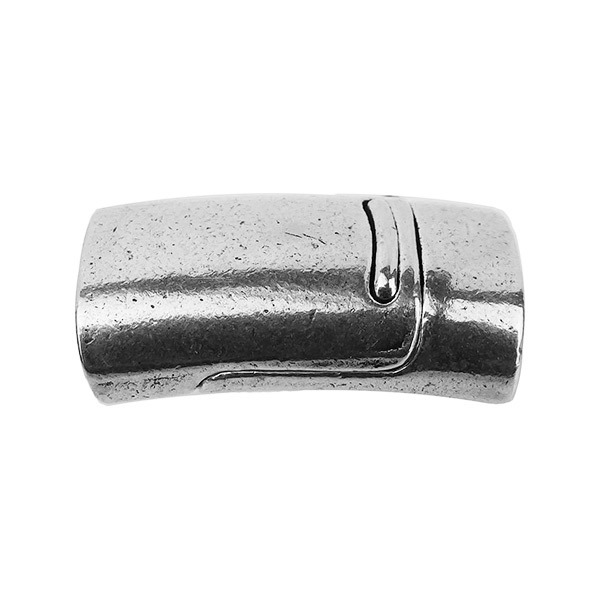 This is an antiqued Silver Plated Base Metal Cast Magnetic Clasp for Mini Oval leather. Size: 22x13mm Length is ~22mm (~1 1/4 Inch) Hole size is 10x2x5mm suitable for our Regalize Mini Oval Leather.. The back is plain without design. 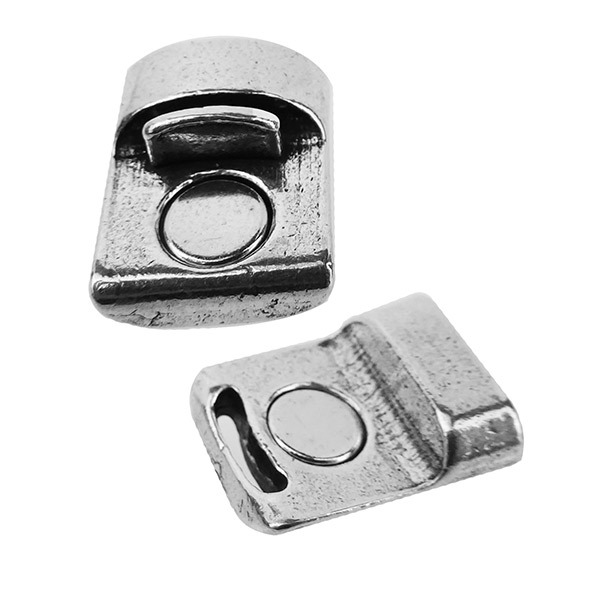 Please note that these magnetic clasps contain strong magnets that should be kept away from small children or electronic devices. NOTE: This fits only the MINI Regaliz.